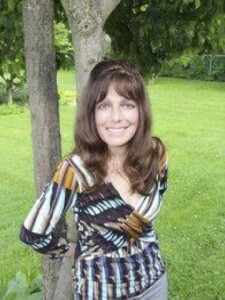 Elena Iacobelli, only 49, was given the news that she had stage 4 colon cancer in November 2011. The late cancer discovery meant the illness had spread from her colon to her liver and lungs. Her war began – the first round of chemotherapy treatment brought her close to death. Intensive rounds of chemotherapy continue today – one day of therapy every two weeks. It has been a challenging couple years though it hasn’t stopped her one bit. In 2012 she single handedly raised over $15,000 for the Terry Fox Run and in 2013, much weaker now, is fighting to raise funds again and spread awareness of Colorectal Cancer. She is truly an inspiration to all and her enthusiasm and determination to help out those who have been affected by cancer is truly a beautiful thing for someone who has been through so much. Her family and friends are proud of her and want to help her make a change. Elena has started the “Elena Let’s Conquer Cancer Foundation” to raise funds for various organizations that have been assisting patients that are battling cancer. On Friday November 8th, 2013 we will be hosting our First Annual Fundraising Dinner Dance ‘50 SHADES OF BLUE’ at the Riviera Parque in Vaughan. We are currently seeking assistance from our local community in the form of cash or product donations in support of this event. Please help us make a difference and spread awareness! Don’t be the next victim of this life- threatening illness!! Net proceeds raised during this event will be donated to the Colorectal Cancer Association of Canada. The Colorectal Cancer Association of Canada (CCAC) is dedicated to increasing awareness of colorectal cancer, supporting patients, and advocating for population-based screening and timely access to effective treatments! Please make cheques payable to “Elena Let’s Conquer Cancer Foundation” If you would like to join us at this family friendly dinner dance or assist with donations, please email us at info@elenaletsconquercancer.ca for more information. In 2012, an estimated 23,300 Canadians were diagnosed with colorectal cancer and approximately 9,200 did not survive. Overall, colorectal cancer is the second leading cause of death from cancer in men and women combined. On average, 64 Canadians will be diagnosed with colorectal cancer and 25 Canadians will die of colorectal cancer every day. We want to sincerely thank you on behalf of Elena for assisting in our fundraising efforts and are grateful that people like you make a difference in the fight for Cancer! Please call Angie D’Agostini at 416-708-2235 for inquiries.